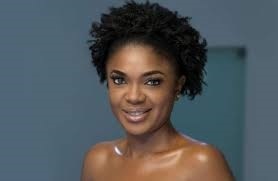 Omoni Oboli's is in court fighting to hold on to her film. Release date for 'Okafor's Law' has been suspended indefinitely. ‘Okafor’s Law’ is now facing the law in a copyright infringement suit. A Federal High Court sitting in Lagos has issued an order directing the seizure of “Okafor’s Law” produced by Omoni Oboli. The plaintiff’s legal representatives were given permission to enter the defendant’s premises in order to obtain evidence. Justice Ibrahim Buba also issued an interim order, suspending the release and launch of the film in any movie theatre or cinema house on March 31. This is pending the determination of a motion on notice before the court. The judge directed the seizure of all copies, materials, projections or infringing materials, relating to the subject matter. The orders followed an application filed by a company, Rancoteur Productions Ltd, on behalf of a Canada-based scriptwriter, Jude Idada, who claims that the Nollywood actress stole his idea. Joined as first to third defendants in the suit are: Dioni Visions Entertainment, Omoni Oboli, and The FilmOne Ltd. The court had earlier issued an order of interim injunction, halting the screening of the movie at the premiere which held on Friday, March 24. The court thereafter March 29 for hearing of the motion.